LAND ROVER. With fuel sender unit. Format of the Contract. In this case, the Supplier will inform you as soon as possible. 1.4 The contract is subject to your right of cancellation (see below). 2.2 The goods are subject to availability. Part Number: LFP115 (Ref.Only). Product Type: SWIRL POT. Make: LAND ROVER. Model: RANGE ROVER SPORT. Date Range: 2005-. Valve(s) Fuel/Body Type KKW/Bhp Drive Engine Code. LAND ROVER. With fuel sender unit. Format of the Contract. 1.4 The contract is subject to your right of cancellation (see below). 2.2 The goods are subject to availability. In this case, the Supplier will inform you as soon as possible. 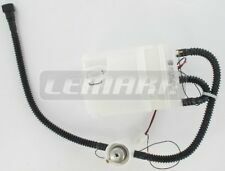 Lemark Fuel Pump Feed Unit. Land Rover Defender (LD_) 2.5 TD5 4x4 Diesel (1999-2016). Land Rover Defender Cabrio (LD_) 2.5 TD5 4x4 Diesel (1999-2016). The only way to be 100% sure that the part will fit your vehicle is to check the part number on your original unit matches one of the above. LAND ROVER. Fitting Position. In fuel tank. Format of the Contract. 1.4 The contract is subject to your right of cancellation (see below). 2.2 The goods are subject to availability. In this case, the Supplier will inform you as soon as possible. Lemark Fuel Pump Feed Unit. Land Rover Freelander (L314) 2.5 V6 4x4 Petrol (2000-2006). Land Rover Freelander (L359) 1.8i 16V 4x4 Petrol (1998-2006). Land Rover Freelander (LN) 1.8 16V 4x4 Petrol (2000-2006). Part Number: LFP073 (Ref.Only). Make: LAND ROVER. Model: RANGE ROVER. Product Type: FUEL PUMP. Date Range: 2002-2012. Valve(s) Fuel/Body Type KKW/Bhp Drive Engine Code. Length (mm) 215. Part Number: LFP593 (Ref.Only). Model: FREELANDER. SENDER UNIT FUEL TANK. Make: LAND ROVER. Product Type: SENDER UNIT FUEL TANK. Date Range: 2001-2006. Lemark In-Tank Fuel Pump Swirlpot. LEMARK: LFP115, BBR Automotive: 001-10-23158, DELPHI: FG1041-12B1, LAND ROVER: WGS500051, SMPE: 38135, EFP880, FP4045, SPECTRA PREMIUM: SP5096M, WILMINK GROUP: WG1498678. LEMARK: LFP412, DELPHI: FG20003-12B1, LAND ROVER: STC4344, SMPE: 39322, EFP636, FP5432, SPECTRA PREMIUM: SP5033M. Lemark Fuel Pump Feed Unit. Land Rover Range Rover (MK II) 3.9 4x4 Petrol (1994-1998). LAND ROVER. With fuel sender unit. Format of the Contract. 1.4 The contract is subject to your right of cancellation (see below). In this case, the Supplier will inform you as soon as possible. 2.2 The goods are subject to availability. LEMARK: LFP348, DELPHI: FG20004-12B1, LAND ROVER: ESR3926, SMPE: 39257, EFP570, FP5350. Lemark Fuel Pump Feed Unit. Land Rover Discovery (LJ, LG) 4.0 4x4 Petrol (1993-1998). The only way to be 100% sure that the part will fit your vehicle is to check the part number on your original unit matches one of the above. Part Number: LFP328 (Ref.Only). Model: FREELANDER. Make: LAND ROVER. FUEL FEED UNIT. Product Type: FUEL FEED UNIT. Date Range: 2001-2003. Part Number: LFP440 (Ref.Only). Make: LAND ROVER. Model: DISCOVERY. FUEL FEED UNIT. Product Type: FUEL FEED UNIT. Date Range: 1998-2003. Part Number: LFP521 (Ref.Only). Model: DEFENDER. LAND ROVER DEFENDER 2.4 Td4 4x4 2.4/2402 5/2007- 4/4 Diesel/Pickup 90/122 All-wheel Drive 244DT. Make: LAND ROVER. FUEL FEED UNIT. Product Type: FUEL FEED UNIT. LEMARK: LFP547, LAND ROVER: PRC7129, SMPE: 38604, EFP167, FP6005. Lemark In-Tank Fuel Sender Unit. Fitting Position: in fuel tank. Land Rover Discovery (LJ, LG) 2.5 TDI 4x4 Diesel (1990-1998). Any information in the compatibility table is for reference only and there may be unspecified choice options. Part Number: LFP392 (Ref.Only). Make: LAND ROVER. FUEL FEED UNIT. Model: RANGE ROVER. Product Type: FUEL FEED UNIT. Date Range: 1994-1998. Valve(s) Fuel/Body Type KKW/Bhp Drive Engine Code. Lemark Fuel Pump Feed Unit. Land Rover Range Rover (MK II) 3.9 4x4 Petrol (1999-2002). Land Rover Range Rover (MK II) 4.0 4x4 Petrol (1999-2002). Land Rover Range Rover (MK II) 4.6 4x4 Petrol (1998-2002). Part Number: LFP412 (Ref.Only). Make: LAND ROVER. FUEL FEED UNIT. Model: RANGE ROVER. Product Type: FUEL FEED UNIT. Date Range: 1994-1998. Valve(s) Fuel/Body Type KKW/Bhp Drive Engine Code. LEMARK: LFP593, LAND ROVER: WQB000020, WQB00020, SMPE: 38652, EFP214, FP6058, VDO: 228-001-013-004Z. Lemark In-Tank Fuel Sender Unit. Fitting Position: in fuel tank. Land Rover Freelander (LN) 2.0 TD4 4x4 Diesel (2001-2006). Part Number: LFP017 (Ref.Only). Make: LAND ROVER. Model: RANGE ROVER. Product Type: FUEL PUMP. Date Range: 1985-1990. Valve(s) Fuel/Body Type KKW/Bhp Drive Engine Code. Part Number: LFP525 (Ref.Only). Model: DEFENDER. Make: LAND ROVER. FUEL FEED UNIT. Product Type: FUEL FEED UNIT. Date Range: 1990-1998. Part Number: LFP290 (Ref.Only). Make: LAND ROVER. FUEL FEED UNIT. Model: RANGE ROVER. Product Type: FUEL FEED UNIT. Date Range: 1994-2002. Valve(s) Fuel/Body Type KKW/Bhp Drive Engine Code. LEMARK: LFP289, AIRTEX: E10725M, BBR Automotive: 001-10-23157, DELPHI: FE0478-12B1, LAND ROVER: LR007313, LR014301, WFX000150, WFX500010, WQC000020, WQC000021, PIERBURG: 7.02550.27.0, SMPE: 39193, EFP506, FP5274, SPECTRA PREMIUM: SP5098M, WILMINK GROUP: WG1025919, WG1498537. Lemark Fuel Pump Feed Unit. Land Rover Discovery (MK II) 2.5 TD5 4x4 Diesel (1999-2004). The only way to be 100% sure that the part will fit your vehicle is to check the part number on your original unit matches one of the above. Part Number: LFP327 (Ref.Only). Model: DEFENDER. LAND ROVER DEFENDER 2.5 Td5 4x4 2.5/2495 0/1999- 5/2 Diesel/Pickup 90/122 All-wheel Drive 10 P. Make: LAND ROVER. FUEL FEED UNIT. Product Type: FUEL FEED UNIT. Part Number: LFP289 (Ref.Only). Make: LAND ROVER. FUEL FEED UNIT. Model: RANGE ROVER. Product Type: FUEL FEED UNIT. Date Range: 2002-2005. Valve(s) Fuel/Body Type KKW/Bhp Drive Engine Code. Part Number: LFP326 (Ref.Only). Model: DEFENDER. LAND ROVER DEFENDER 2.5 Td5 4x4 2.5/2495 6/1999- 5/2 Diesel/Pickup 90/122 All-wheel Drive 10 P. Make: LAND ROVER. FUEL FEED UNIT. Product Type: FUEL FEED UNIT. LAND ROVER. Fitting Position. Notification by phone is also sufficient. In this case, the Supplier will inform you as soon as possible. 1.4 The contract is subject to your right of cancellation (see below). Part Number: LFP293 (Ref.Only). Model: FREELANDER. Make: LAND ROVER. FUEL FEED UNIT. Product Type: FUEL FEED UNIT. Date Range: 1998-2000. Part Number: LFP320 (Ref.Only). Make: LAND ROVER. Model: DISCOVERY. FUEL FEED UNIT. Product Type: FUEL FEED UNIT. Date Range: 1993-1998. LAND ROVER. Fitting Position. In fuel tank. Format of the Contract. Length (mm). In this case, the Supplier will inform you as soon as possible. 1.4 The contract is subject to your right of cancellation (see below). Part Number: LFP292 (Ref.Only). Model: FREELANDER. Make: LAND ROVER. FUEL FEED UNIT. Product Type: FUEL FEED UNIT. Date Range: 1998-2000. LAND ROVER. Fitting Position. Format of the Contract. Length (mm). In this case, the Supplier will inform you as soon as possible. 1.4 The contract is subject to your right of cancellation (see below). Part Number: LFP318 (Ref.Only). Model: FREELANDER. Make: LAND ROVER. FUEL FEED UNIT. Product Type: FUEL FEED UNIT. Date Range: 2000-2006. Length (mm) 265.